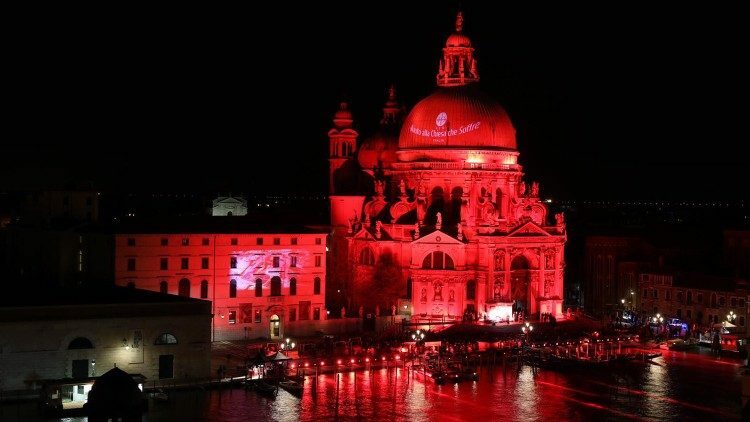 Landmark buildings around the world have been lit up in scarlet for “Red Wednesday,” an annual commemoration of persecuted Christians throughout the world. 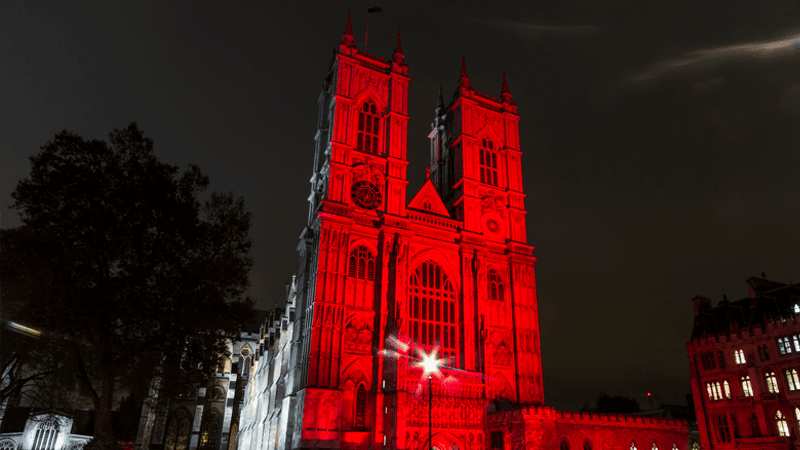 The #RedWednesday event is an initiative of the UK chapter of Aid to the Church in Need (ACN), which has partnered with Christian Solidarity Worldwide (CSW), an NGO that promotes the right to freedom of religion. 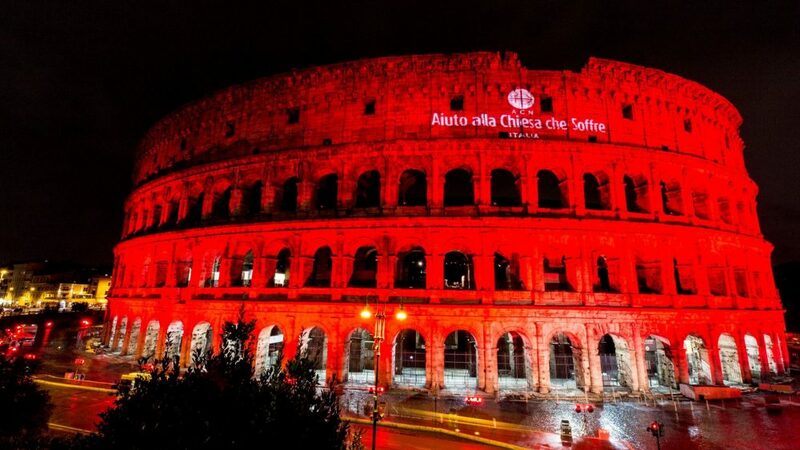 Among the dozens of noteworthy edifices bathed in red light Wednesday are the Roman Colosseum, Westminster Cathedral in London, the Basilica of the National Shrine of the Immaculate Conception in Washington, DC, Westminster Abbey, Lambeth Palace, the Cathedral of Saints Peter and Paul in Philadelphia, and St. Mirin’s Cathedral, in Paisley, Scotland. 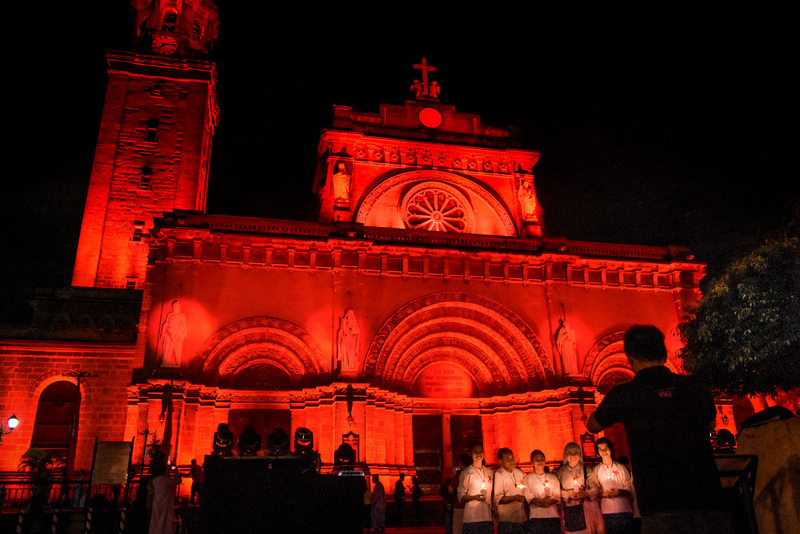 Along with the scarlet-lit buildings, prayer services where held in different parts of the world to ask God for grace and strength for Christians persecuted around the globe. 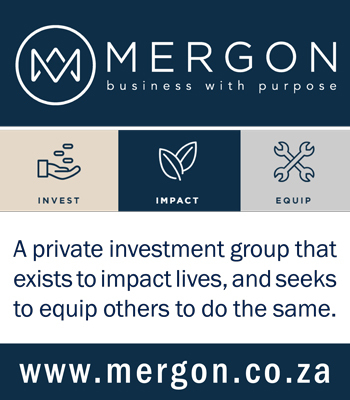 Currently, some 300 million Christians around the world face active persecution in their countries, subject to violence, harassment, arrest, and other human rights violations, while nearly 200 million more suffer discrimination. Christianity is “the most widely targeted religious community, suffering terrible persecution globally,” according to a major study carried out by the University of Notre Dame’s Center for Ethics and Culture, the Religious Freedom Institute and Georgetown University’s Religious Freedom Research Project. The study, titled “Under Caesar’s Sword,” reported that Christians around the world suffer persecution at the hands of both state and non-state actors. “Among the state actors are Islamist, Communist, religious nationalist, and secular regimes, while non-state actors include violent religious extremists,” it stated. 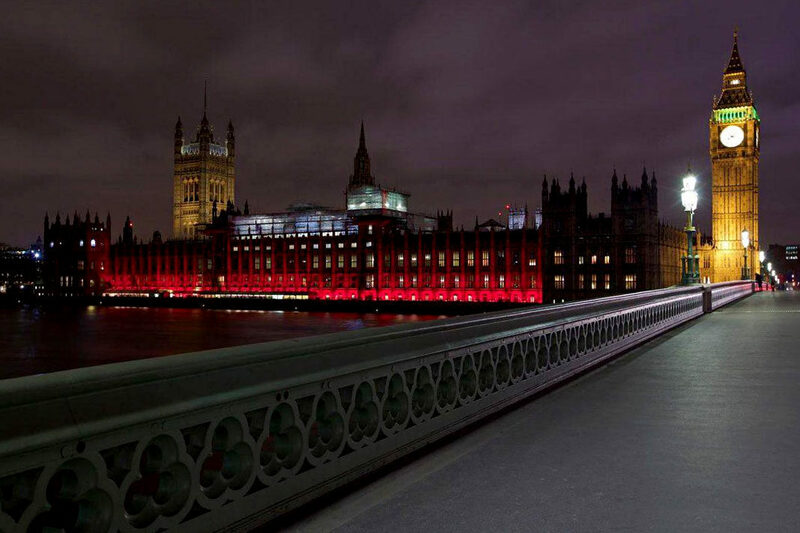 The color red was chosen because it is the color or blood, and symbolizes martyrdom for the faith. “So, we’re thinking of all those who carry their cross in a time of enormous difficulty and who sometimes have to pay the ultimate price,” Mr. Pontifex said.